Aka, F.T., Yokoyama, T., Kusakabe, M., Nakamura, E., Tanyileke, G., Ateba, B., Ngako, V., Nnange, J., Hell, J., 2008. U-series dating of Lake Nyos maar basalts, Cameroon (West Africa): Implications for potential hazards on the Lake Nyos dam. J. Volcanol. Geotherm. Res., 176: 212-224. Barberi, F., Chelini, W., Marinelli, G. and Martini, M., 1989. The gas cloud of lake Nyos (Cameroon, 1986): Results of the Italian technical mission. J. Volcanol. Geotherm. Res., 39: 125-134. Baxter, P.J. and Kapila, M., 1989. 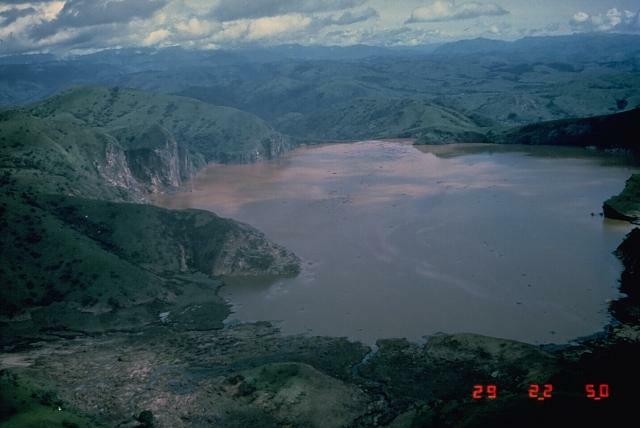 Acute health impact of the gas release at lake Nyos, Cameroon, 1986. J. Volcanol. Geotherm. Res., 39: 265-275. Evans, W.C., White, L.D., Tuttle, M.L., Kling, G., Tanyileke, G., Michel, R.L., 1994. Six years of change at lake Nyos, Cameroon, yield clues to the past and cautions for the future. Geochem. J., 28: 139-162. Fitton, J.G., 1980. The Benue trough and Cameroon line - A migrating rift system in West Africa. Earth Planet. Sci. Lett., 51: 132-138. Fitton, J.G., Kilburn, C.R.J., Thirlwall, M.F. and Hughes, D.J., 1983. 1982 eruption of Mount Cameroon, West Africa. Nature, 306: 327-332. Giggenbach, W.F., 1990. 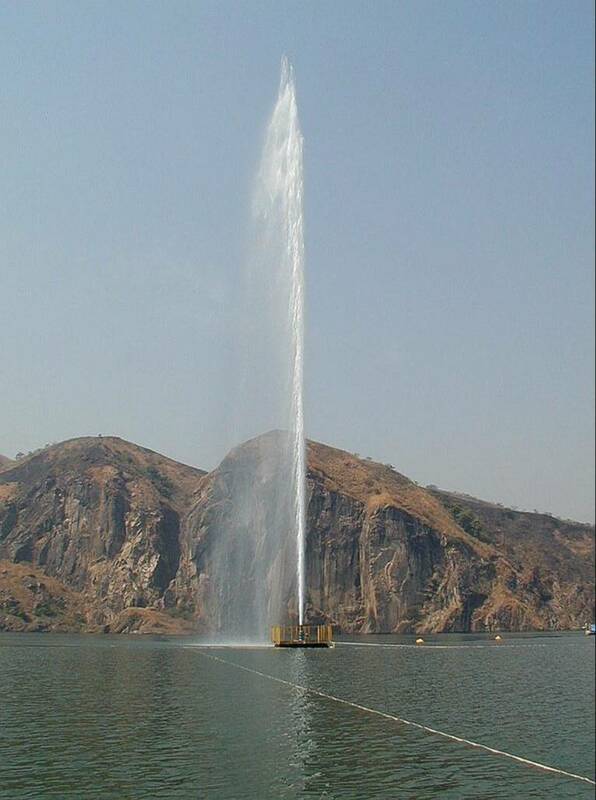 Water and gas chemistry of Lake Nyos and its bearing on the eruptive process. J. Volcanol. Geotherm, 42: 337-362. Halbwachs, M., Sabroux, J.C., Grangeon, J., Kayser, G., Touchon-Danguy, J.C., Felix, A., Beard, J.-C., Villevieille, A.Vitter, G., Richon, P., Wuest, A., Hell, J.V., 2004. Degassing the "killer lakes" Nyos and Monoun, Cameroon. EOS, 85(30): 281-288. Kling, G.W., Tuttle, M.L. and Evans, W.C., 1989. The evolution of thermal structure and water chemistry in lake Nyos. J. Volcanol. Geotherm. Res., 39: 151-165. Kusakabe, M., Ohba, T., Issa, Yoshida, Y., Satake, H., Ohizumi, T., Evans, W.C., Tanyileke, G., Kling, G., 2008. Evolution of CO2 in lakes Monoun and Nyos, Cameroon, before and during controlled degassing. Geochem. J., 42: 93-118. Kusakabe, M., Ohsumi, T. and Aramaki, S., 1989. 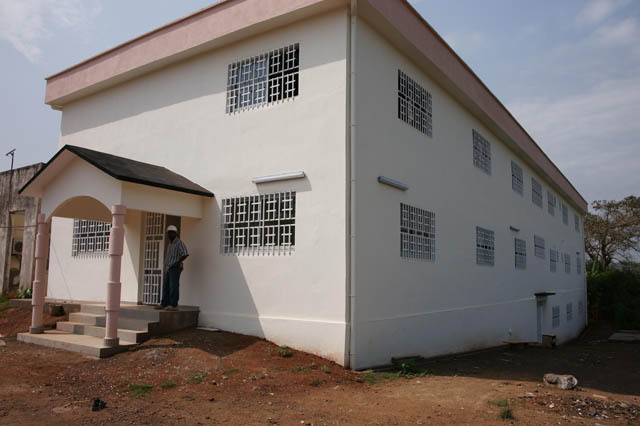 The lake Nyos gas disaster: chemical and isotopic evidence in waters and dissolved gases from three Cameroonian lakes, Nyos, Monoun and Wum. J. Volcanol. Geotherm. Res., 39: 167-185. Kusakabe, M., Tanyileke, G., McCord, S.A. and Schladow, S.G., 2000. Recent pH and CO2 profiles at lake Nyos and Monoun, Cameroon: Implications for the degassing strategy and its numerical simulation. J. Volcanol. Geotherm. Res., 97: 241-260. Ohba, T., Hirabayashi, J. and Nogami, K., 1994. Water, heat and chloride budgets of the crater lake, Yugama at Kusatsu-Shirane volcano, Japan. Geochem.J., 28: 217-231. Ohba, T., HIrabayashi, J. and Nogami, K., 2000. D/H and 18O/16O ratios of water in the crater lake at Kusatsu-Shirane volcano, Japan. J.Volcanol.Geotherm.Res., 97: 329-346. Ohba, T., Hirabayashi, J. and Nogami, K., 2008. Temporal changes in the chemistry of lake water within Yugama Crater, Kusatsu-Shirane Volcano, Japan: Implications for the evolution of the magmatic hydrothermal system. J. Volcanol. Geotherm. Res., 178: 131-144. Shanklin, E., 1989. Exploding lakes and maleficent water in Grassfields legends and myth. J.Volcanol.Geotherm.Res., 39: 233-246. Sigvaldason, G., 1989. International conference on lake Nyos disaster, Yaounde, Cameroon 16-20 March, 1987: Conclusions and recommendations. J.Volcanol.Geotherm.Res., 39: 97-107. Tazieff, H., 1989. Mechanisms of the Nyos carbon dioxide disaster and of so-called phreatic steam eruptions. J. Volcanol. Geotherm. Res., 39: 109-116.